Click to Get Contracted with DentalPlans - After contracting, Go to Banners & Hyperlinks in your NAAIP Back Office and change the hyperlink to your enrollment url. DentalPlans.com has the nation's largest network of dentists and clinics (over 110,000 of them participating), with quality discount dental plans starting at $79.95/year. Agents Receive 30% first-year commission and renewals of 10%, as well as a free, personal website for the online enrollment of clients. Your client can make savings of up to 60% on their dental health needs. There is a wide range of dental plans on offer at the very best prices. Plenty of expert dentists are available in a combination of networks. With easy paperwork and instant activation of plans, your clients can make huge savings on their dental care needs such as dental check-ups, fillings, cleanings, braces and much more. The company has emerged as the #1 choice for people who are searching for instant, comprehensive and reasonable dental plans. 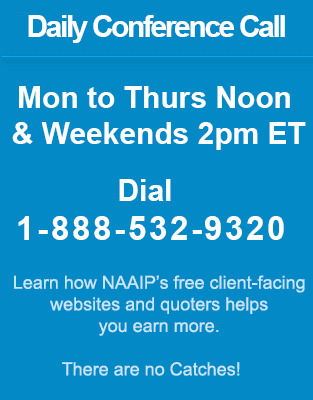 Important: After contracting, please go to Banners & Hyperlinks in your NAAIP Back Office and change the hyperlink from the banner to your enrollment url. DentalPlans Contracting and Appointments - Free websites for insurance agents.